North Atlantic Books, 9781583948286, 232pp. 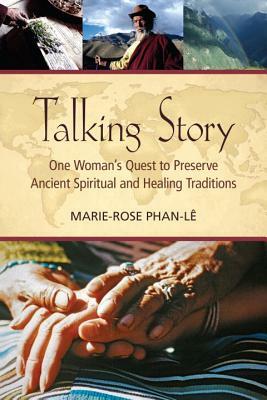 MARIE-ROSE PHAN-LÊ is the founder and president of Healing Planet Project, a nonprofit dedicated to the preservation and presentation of healing and spiritual traditions through media. She is the writer, director, and producer of the award-winning documentary film Talking Story, the companion to the book. "Phan-Lê’s prose is measured, concise, and unfussy, and she writes introspective and perceptible insights about connecting the experiences of her extraordinary journey to her ordinary life."